It snuck up on me. New iOS devices have come and gone, new features have been revealed (and in a few notable cases, removed), and a titan of the electronic age has passed from this world. However, until I got reminder a couple of weeks ago while listening to Leo Laporte’s TWIT podcast, I had forgotten that we have officially reached the ten year anniversary of Steve Jobs’ tour de force announcement of the iPhone. There is something momentous about the passage of a decade, especially in the fast-moving realm of technology, making this a perfect time to both look back at what was, and also forward to the future. In a personal sense, what stands out to me is my own hubris at the time of the announcement. I certainly wasn’t alone in this, but it makes me laugh at myself a bit in hindsight. I had heard the rumors. I knew about the impending announcement of a big new piece of Apple hardware. However, even though I had dipped my toe into their ecosystem for the first time with a couple of iPods, I wasn’t interested. Not even a little. I was a longtime Windows Mobile PDA and Smartphone user with all of the accompanying apps and accessories. I was on XDA Forums when the original XDA actually existed, and Android was still just a glimmer in Andy Rubin’s eye. I had modded firmware and hacked and skinned, and anything else possible. I was so disinterested in Apple’s inevitable phone, that I didn’t actually see or hear Steve Jobs’ presentation until a few years later. I read the early reports on the event, and then the pre-release reviews later on as the release approached, but my interest in a new platform with no ability to load applications was lukewarm, at best through the majority of 2007. Obviously my attitude changed pretty drastically, and it came sooner than you might expect. The gadget hound in me couldn’t stay away the weekend of the iPhone launch. I was already a Cingular subscriber, and I had just gotten an insurance payout for an early smartphone that was stolen. I knew what I was going to buy, but I had to take a look at the new kid on the block first. I found the smooth scrolling and the Safari browser of the original to be more enticing than expected, but there was too little else for too high a cost at first to get me to bite. I went ahead and bought my Motorola Q9 Windows Mobile Blackberry knockoff. Blech. It wasn’t a bad phone for work, but I got bored of it quickly. Windows Mobile had grown very stale, and the new of what was then called “iPhone OS” had growing allure. I used some Christmas money to buy a used First Gen iPod Touch to give the platform a try. The thought of a thinner, lighter iPod already appealed to me, and I had already played with iPhones that a couple of family members had bought, and was intrigued. They loved the new platform and its controls right from the start, even with all of the trade-offs and work-arounds coming from Windows Mobile, and that made an impression. I held tight with it for a couple of months, but as much as Touch grew on me, it only served to be a gateway drug. Tethering to early smartphones was cubmersome at best, and WiFi wasn’t everywhere in 2008. I LOVED Safari, but HATED that I couldn’t use it everywhere. Being forced to use Opera Mobile on the go on my Q9, which was better than IE Mobile, still just pushed me toward the iPhone. I also started paying attention to Apple news sites. I knew about the rumors that 3rd Party apps and Exchange support would be coming with the next release, so I took the plunge in March of 2008. I got a refurbished 8GB Original iPhone, and I have owned every one that has come since. In hindsight, what I missed out on thanks to my lack of vision was the current Everest of consumer electronic sales pitches. I’ve watched and listened to all or part of the presentation over the last week or so on various podcasts and while skimming other sites. It was nothing short of Steve Jobs’ Ninth Symphony. As with Beethoven, a few lovely works would follow before the end, but this was his masterwork. Not just that demo iPhone, in all its alpha-stage, buggy, barely holding together while the engineers in the front row did shots to celebrate it not spontaneously combusting on stage. For all the countless hours of design and engineering time that went into it, you could just FEEL Jobs’ YESs and NOs oozing off of it. He may not have built it himself, but to deny him credit would be the same a denying a General accolades for an ingenious plan of attack, or a conductor bravos for a masterful orchestral performance. 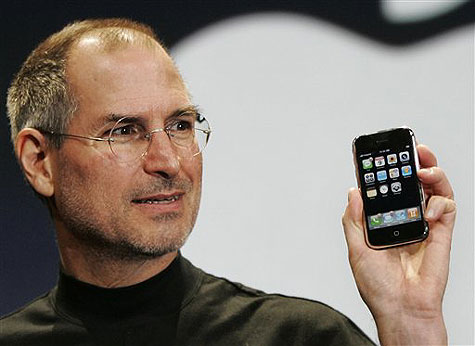 Steve Jobs may not have built the iPhone, but he birthed it. Still, it wasn’t the hardware and software that stand out watching the event now. It was Jobs, on that stage, KNOWING that he had the ace of all aces up his sleeve. It was the kind of presentation that very few would have the guts to deliver today. Elon Musk and Mark Zuckerberg offer glimpses and shadows, but neither is the combination of salesman and showman that Jobs was. The slight of hand of taking the audience down the meandering path of talking about three devices and confounding them a little (you can hear it in the different rates and volumes for applause for “Widescreen iPod with Touch Screen Controls,” “Mobile Phone,” and “Internet Communicator”), before revealing they were one device (to suddenly thunderous applause). The gag of revealing a knock off Click Wheel phone that Apple was rumored to have been working on over the years (and we know now that they did have prototypes designed and made under the leadership of Tony Faddell). Who else would have made this move at such a big event, at such a HUGE moment? And then, just after that, he points out that the real iPhone is in his pocket, but delays the reveal to talk about its features before showing it to the audience. More building of anticipation. Jobs is literally strumming the audience as his instrument at this point. No business school could teach this. 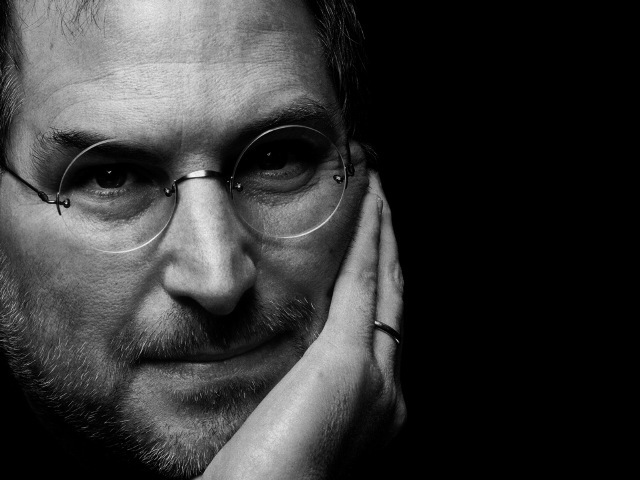 Steve Jobs was just a born salesman, the way that Michael Jordan was a born basketball player. I’ll spare you all the rest of the details, as they are well known. 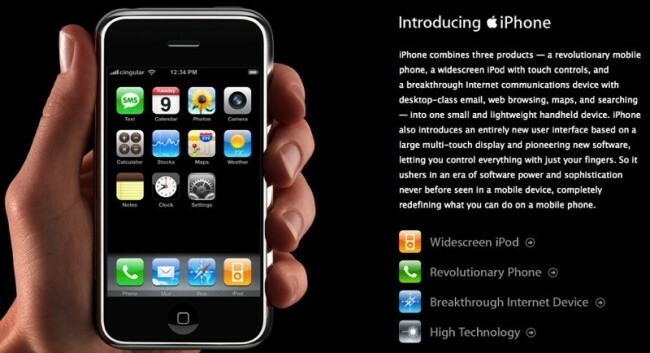 If you haven’t ever seen the original iPhone announcement, or like me, just haven’t seen it in a while, do yourself a favor. Click the link and enjoy. I’ll be back with Part 2 to discuss a little bit about where we are with the iPhone and iOS after 10 long years, and where things could or should be going as we move into the future with Apple’s flagship hardware and software platform.